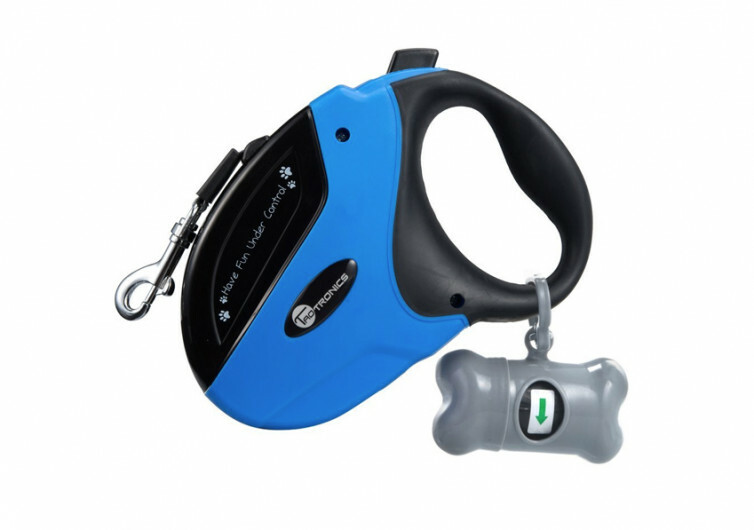 The TaoTronics Retractable Dog Leash offers a more convenient way of walking your dog. This pet lead system boasts of a thoughtful design and a tough construction that can make dog-walking a pleasant activity to look forward to. The TaoTronics device features a number of innovations that blast the competition. One of the things you’ll notice about this retractable dog leash is the design of its handle. It follows the natural contour of the hands that grip the handle. It comes with a thicker midsection which corresponds to the arch of the palm. Holding the TaoTronics will never bring discomfort or pain in your hand. In case you have a mighty four-legged puller at the other end of the leash, you will never experience any pain in your hand. Moreover, the design of the handle prevents slipping so you get total control of the lead. The TaoTronics only comes with an ABS plastic casing. It is not as solid as stainless steel or aluminum, but it is heavy-duty nonetheless. 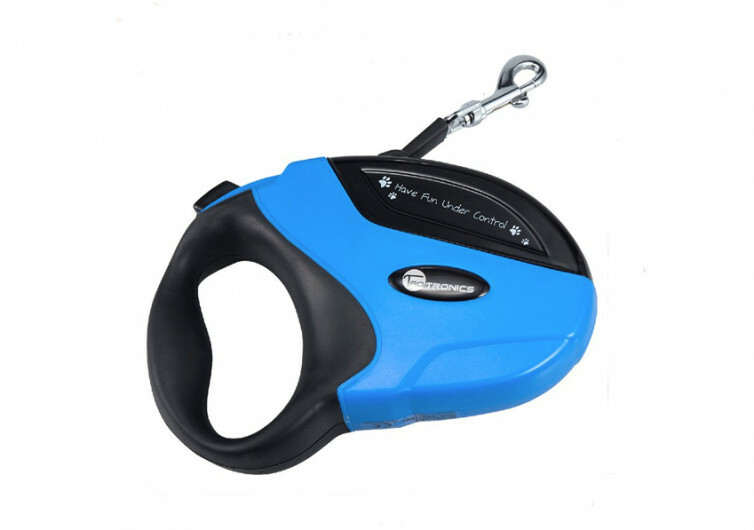 Its leash retraction mechanism is strong enough to handle the pulling force of a 110-lb dog. That’s better than other dog leashes on the market. You can have a Bernese Mountain Dog or an Akita Inu and the TaoTronics will give you excellent control over these large dogs. Integrated with the retraction mechanism is a brake system. This gives the user the chance to determine the correct length of the leash that he’s more comfortable working with. One can apply the brake at any time to stop the leash from extending any further. One can also lock the brake so that the leash remains at its desired length. And when it is time to resume the carefree walk, the brake is easy enough to release. One good thing about the entire TaoTronics system is that you can do everything with one hand. 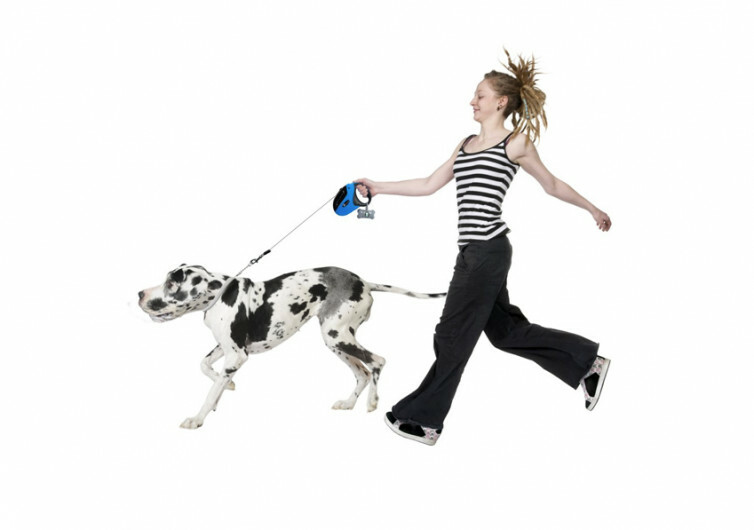 This retractable dog lead also features a 16-foot long leash made of heavy-duty nylon material. What some pet parents may find intriguing is the absence of a reflective trim on the leash itself. However, TaoTronics is throwing away a whimsical dog poop bag dispenser. In case your dog does its business during the walk, you’ll have the resources to manage it right there and then. 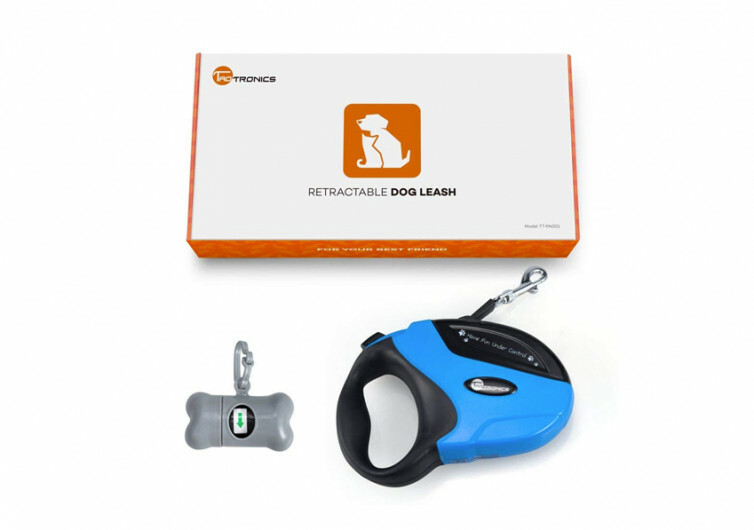 The TaoTronics Retractable Dog Leash is a more convenient way to manage your dog’s walking activities. It’s durable enough to last your pet’s lifetime.